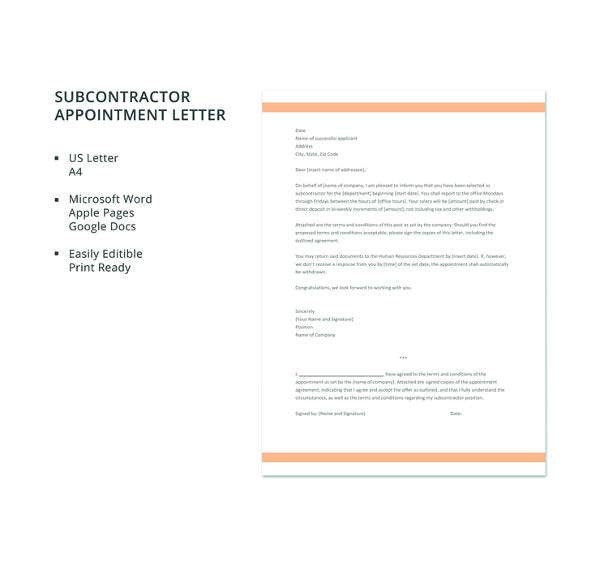 A contractor appointment letter is basically the letter of agreement which states that a contractor will work for a business or a company to assure that the services needed to finish a particular project will be provided. It contains all the limitations, scope, and regulations of the entire transaction for both parties involved to be guided by the rules and other items that they need to follow. 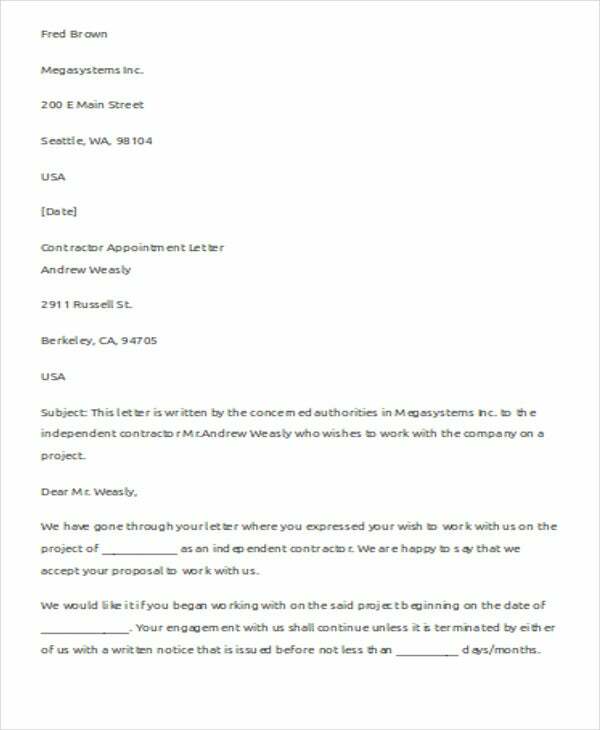 We can give you samples of contractor appointment letter templates if you want to know more information about the inclusions of this kind of document. 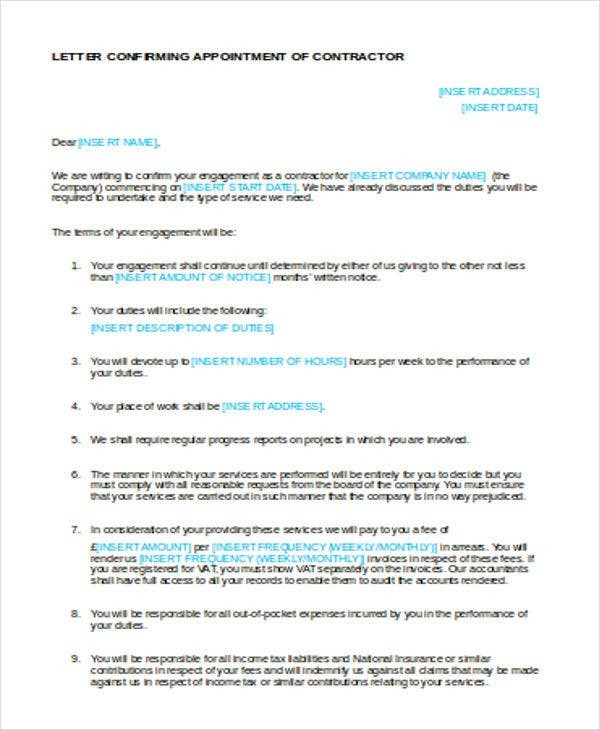 Moreover, we can also provide you with different kinds of Letter Template samples usable as references and guides in creating various classifications of professional written transactions and processes. 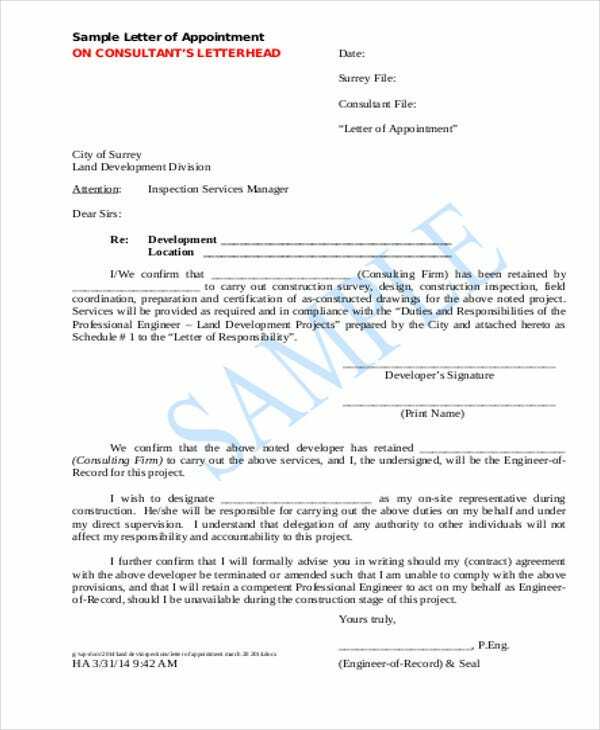 Other than our samples of contractor appointment letter templates, you may also be interested to browse through and download our samples of Contract Termination Letter templates used in different legal transactions and agreements. 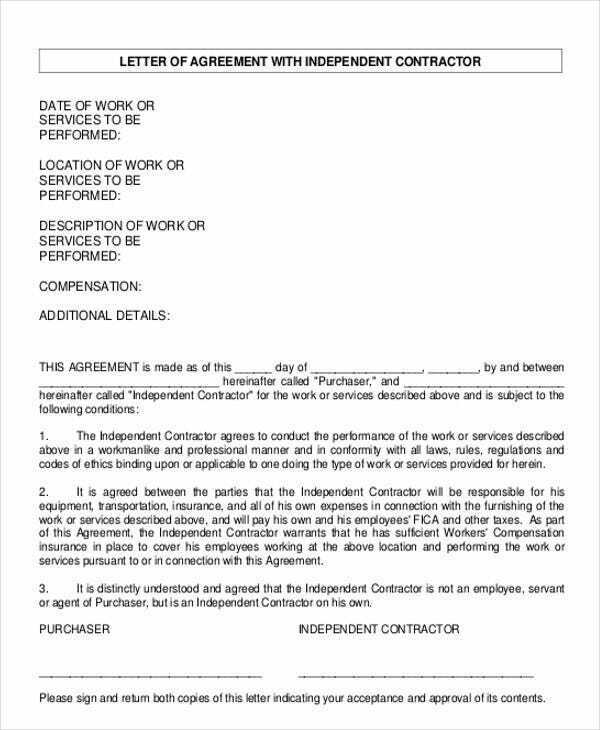 It will allow both the contractor and the company to know their rights as an entity involved in the transaction. It helps the contractor to be aware of all the functions that they need to provide. It allows the business to identify all the information that they have considered on choosing the specific constructor for the project. 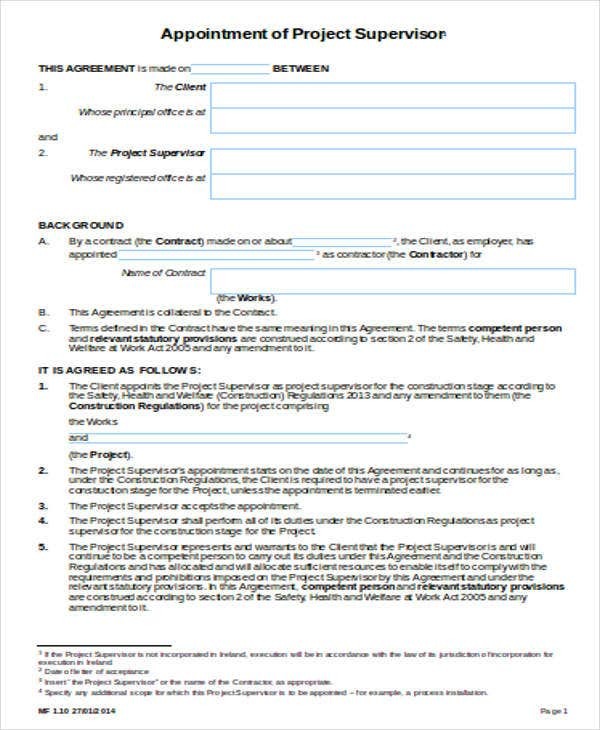 It lists down all the items that are needed to be done to assure the completion of the project at the expected time. It provides all the information of every step needed to be applied in the project processes. 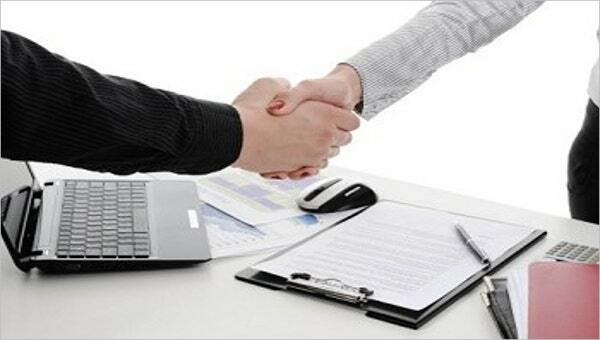 It sets all the items that the contractor and the company have agreed upon. 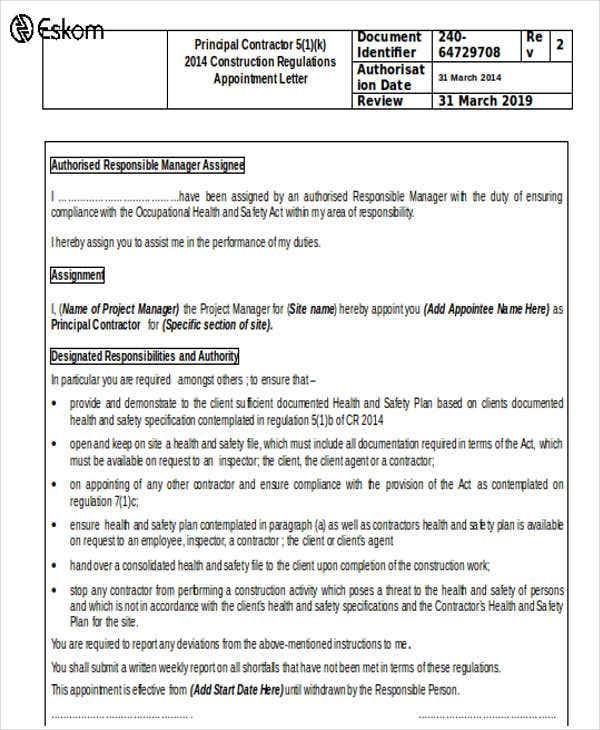 Aside from our contractor appointment letter templates, our samples and templates of Employee Recommendation Letters are also available for download for additional references.